Liston College in Auckland have started off 2019 with the launch a new website with the help of the team here at Inbox Design. The site features a fresh new design that is mobile friendly and powered by the new 2.0 version of Inbox Design’s Salvage Content Management System. 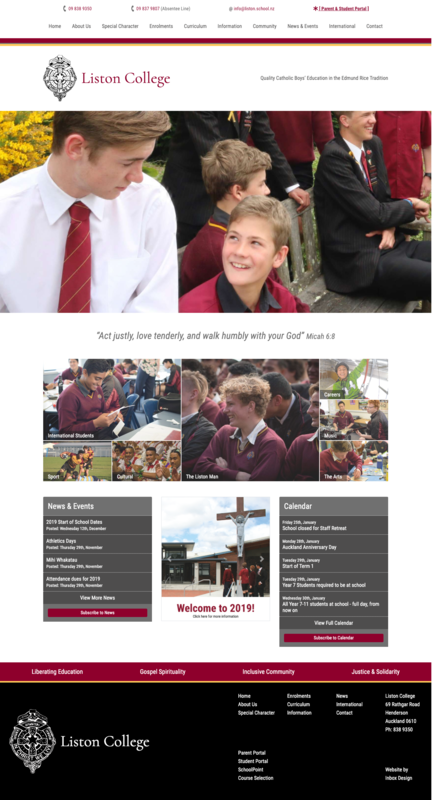 Liston have also taken advantage of our re-vamped e-Newsletter Site Extra to streamline how they connect with the school community.